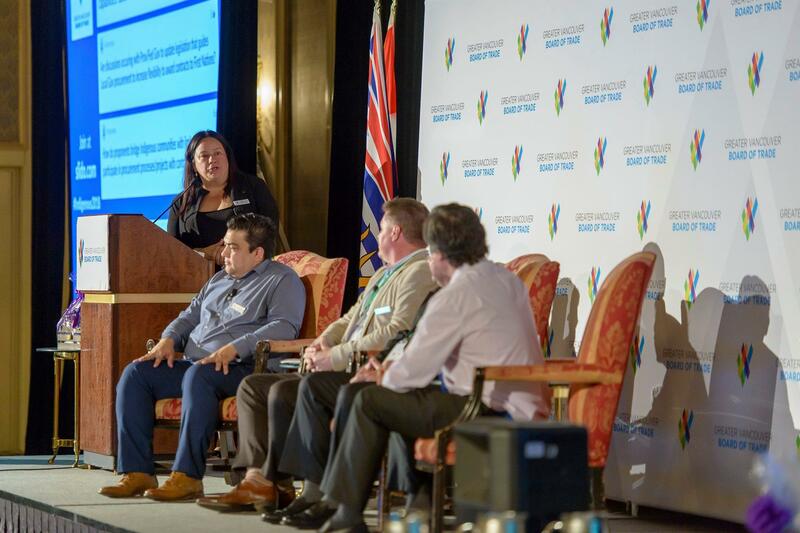 For the second year in a row, Kory Wilson chaired the Greater Vancouver Board of Trade annual forum that focused on strengthening relationships between industry and Indigenous peoples. Shaped around the theme of Creating Balance, the forum heard from Chief and CEO of Squiala First Nation, David Jimmie, and other key speakers. This year’s event saw 300 people in attendance, making it the largest to date. Kory is no stranger to the Greater Vancouver Board of Trade; she was just recently recognized by the organization for her work championing women in leadership roles. Since joining BCIT in 2016 she has also played an integral part in enriching Indigenous initiatives at the Institute, including the signing of the CICan Indigenous Education Protocol in 2017. Check out more information on Indigenous services at BCIT.